Let yourself be seduced by our completely renovated apartment, comfortable at the foot of the slopes near the new sports complex of 4,500 m² (sauna, jacuzzi, swimming pool ...). Ski and toboggan carpet at the foot of the building. 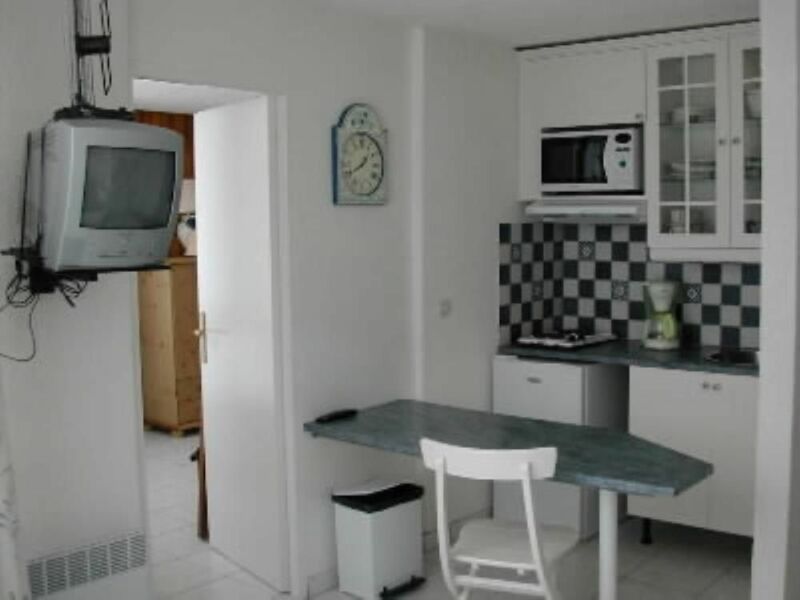 Apartment for 4 people (25 m2) located in the district of Preyrand, at the foot of the slopes. A 48 cm Lcd color television with reception of TNT channels and Usb input (DivX and Mp3) equips the show. A ski locker is located on the ground floor in the ski locker. You have free parking, not allocated at the foot of the building. The residence 'Caron', with elevator and caretaker, is located in the district of Preyrand at the foot of the track. Shops (supermarket, restaurant, sports shop). Link with the main district, la Croisette, by free telebenne from 8 to 23 hours. Parking discovered and free in front of the residence. "The flat is basic and small so you need to get on with all of your party but has all you need. It''s in a great location in resort, close to the shops and centre and you can ski in and out." "The flat is fine. It is close to a supermarket, but there are only a few shops there. The slopes are just in front of the building. "L''appartement est bien situé, au pied des pistes. La vue n''est pas extraordinaire. Mais c''est conforme à la description. Le studio reste vraiment agréable et près de tout. Le seul petit bémol. On a trouvé qu''il manquait un peu d''équipement de cuisine." "Le seul point négatif est l'absence de petit électro-ménagé comme appareil à raclette ou à fondue..."
"le stationnement un peu difficile si non R.A.S"
aux pieds des pistes, appartement sympa !!" Take the A43 / A430 motorway to Moûtiers and follow the direction Les Ménuires (Belleville Valley - D117). Train to Moutiers and bus connection. You will have shops, a mini market, restaurants, bars, ski rentals, a post office and a sale of packages at 50 meters.